Misleading appearances — and questions of how we deal, or don’t deal, with the past — are at the heart of New Magic Valley Fun Town, a new comedic drama from playwright Daniel MacIvor. If you've ever spent any time on the world's biggest social media site, that statement probably rings at least a bit true (is anybody's vacation really as deliriously happy as your second cousin's appears to be?). 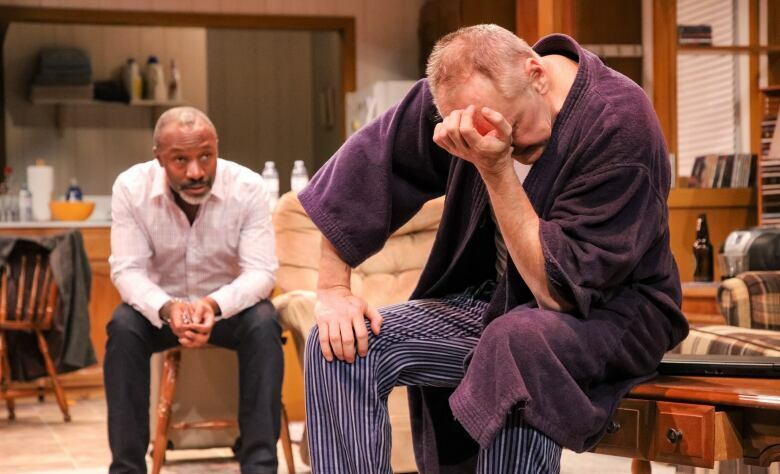 Those sort of misleading appearances — and questions of how we deal, or don't deal, with the past — are at the heart of New Magic Valley Fun Town, the latest from acclaimed Canadian playwright Daniel MacIvor. Seeing its premiere at Winnipeg's Prairie Theatre Exchange (in a co-production with Toronto's Tarragon Theatre, where it runs next month), MacIvor's new play offers up humour, heartbreak and horror in an arresting package. 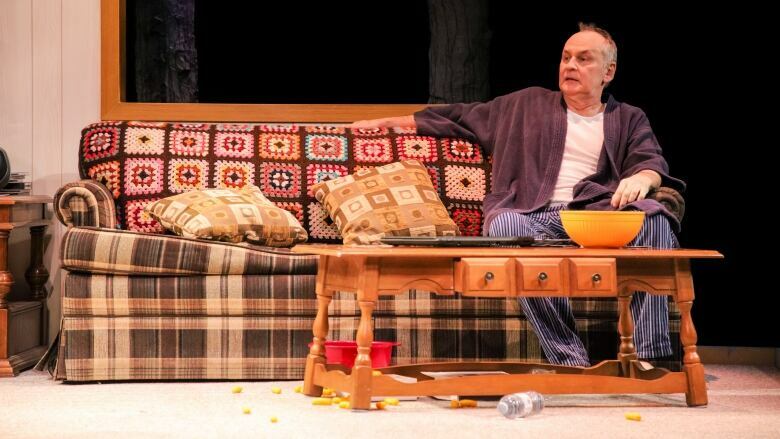 Things begin on a light note, as Facebok-hating Dougie (MacIvor) struggles and stumbles into his Cape Breton trailer in a comically Canadian scene — laden with bags of snacks from No Frills, cases of beer and, of course, a cup of Tim's. There are more laughs, and some great banter, as we meet Dougie's wife, Cheryl (Caroline Gillis) — not his ex, though they live separately — and their daughter, Sandy (Stephanie MacDonald). They're clearly a complicated family, but there's also a tension in the air as Dougie waits for the appearance of his childhood friend, Allen (Andrew Moodie), who he's not seen in nearly 30 years, and whose imminent arrival has Dougie buzzing — and reaching for his comically awful hairpiece. 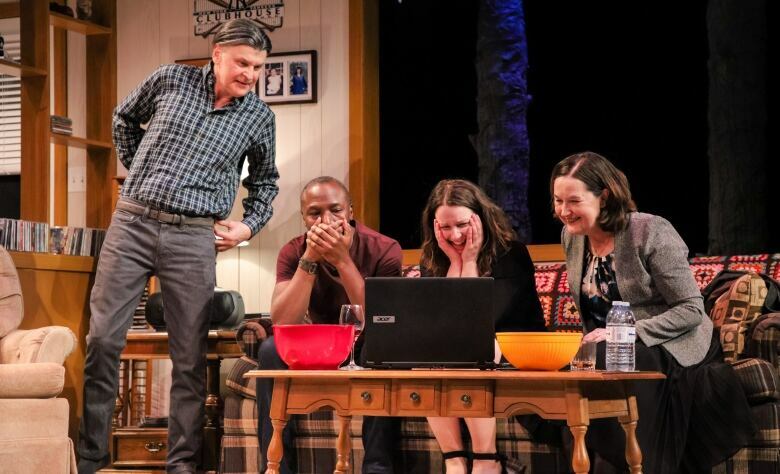 While the first chunk of MacIvor's tightly scripted, 90-minute play keeps itself focused on the laughs and lands plenty of them, there's the persistent sense that things are not really OK with Dougie, who is prone to sudden bursts of anger and clearly suffers at least a little from OCD. The root of that is slowly revealed as Dougie and Allen revisit their past. That includes some pivotal moments at the titular theme park, a place they reveal was not new, magic, or a town in a valley, and was most certainly not — for them, at least — fun. 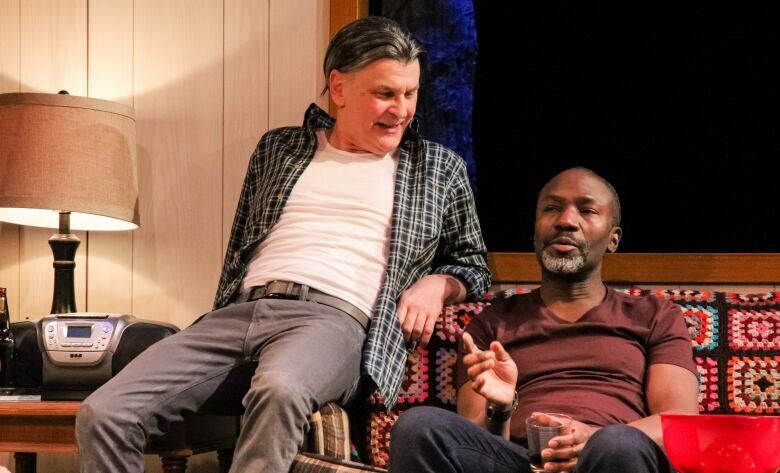 There are deeper issues between the men, we discover, than those hidden by Facebook fibs and bad hairpieces — and in its later scenes, MacIvor's play take takes a hard, but compelling, turn to look at truth and memory, and the tricks we play with both. That gradual reveal of facts — and the delicate balance between comedy and drama — is handled deftly in both MacIvor's script and director Richard Rose's subtle production. As a writer, MacIvor has a knack for natural, snappy dialogue and drawing believable characters, and the four-person cast capitalizes fully on both. They handle the demands of the script's comic timing and its quietly cutting scenes with graceful performances. While the performances are strong across the board, the playwright himself largely steals the show. It's hard to imagine another actor so perfectly capturing the manic energy and flawed decency of Dougie, a man who seems content to hide himself from the world in a double-wide trailer in the woods — but who is clearly suffering the lingering effects of unaddressed trauma. By turns funny and tragic, New Magic Valley Fun Town is well worth a visit. New Magic Valley Fun Town runs at Prairie Theatre Exchange until Feb. 10. The production moves to Toronto's Tarragon Theatre from Feb. 20 to March 31, and then to Neptune Theatre in Halifax from April 4-21. Joff Schmidt is a copy editor for CBC Manitoba. 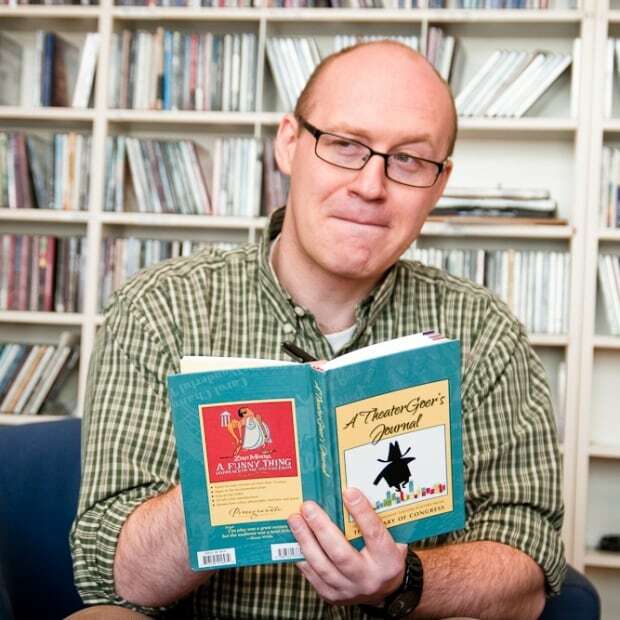 Since 2005, he's also been CBC Manitoba's theatre critic on radio and online. He majored in theatre at the U of M, and performed in many university and Fringe festival productions along the way (ranging from terrible to pretty good, according to the reviews). Find him on Twitter @JoffSchmidt.